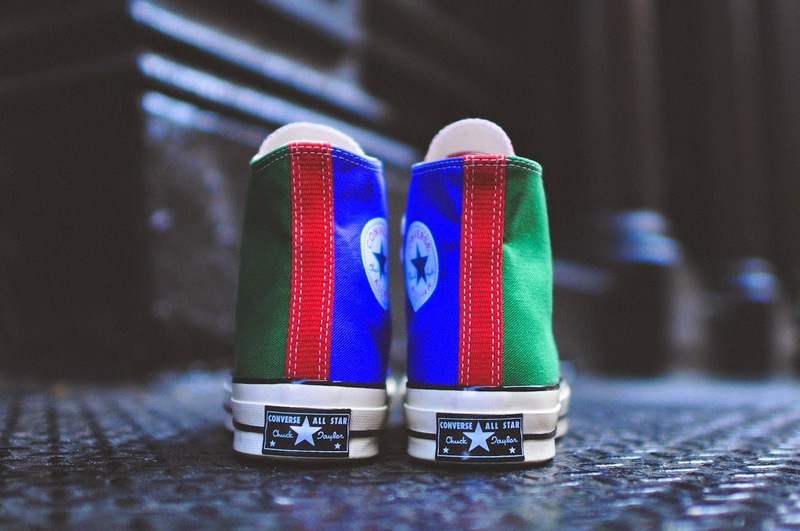 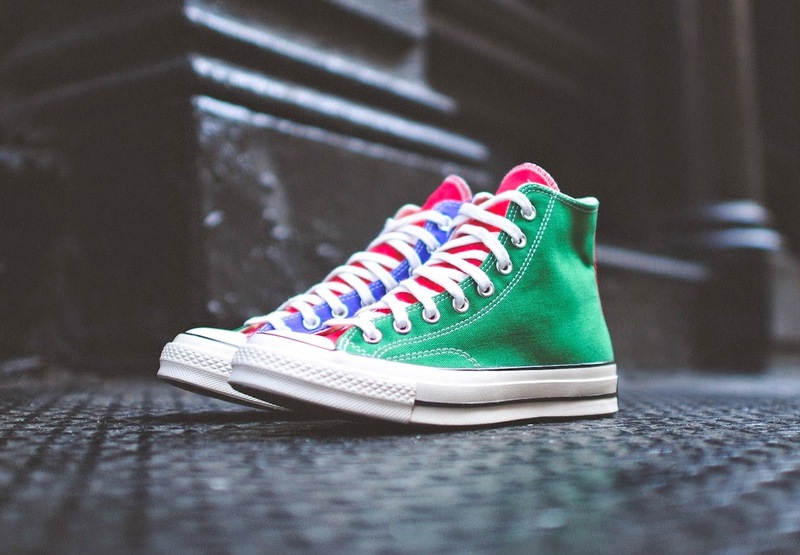 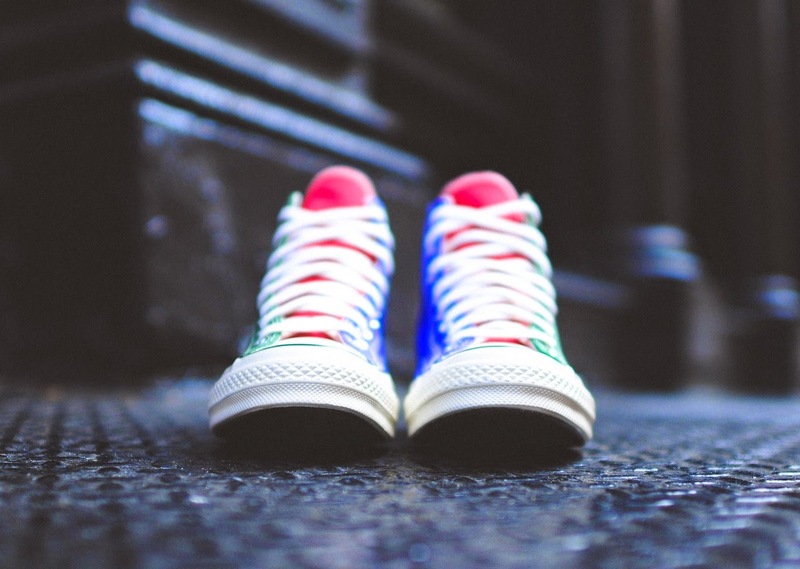 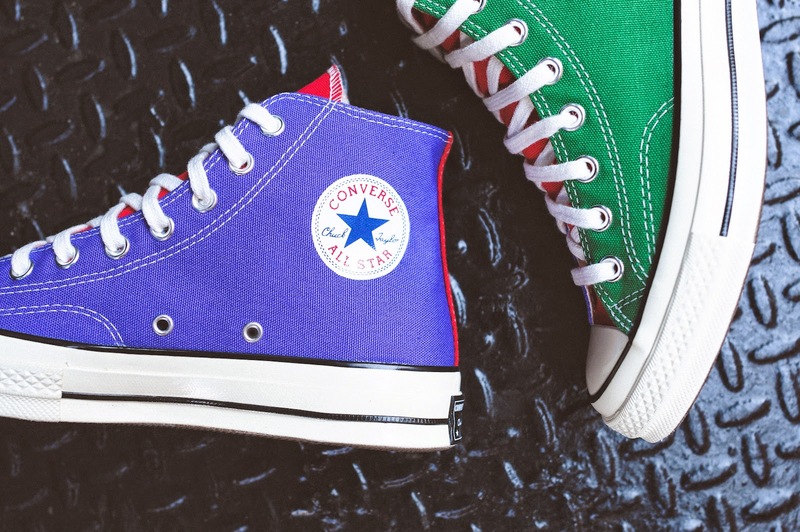 Half of Converse's "Tri-Color" Pack, the Chuck Taylor All-Star Hi 1970 "3 Panel" features an array of colors, creating a visually stimulating model. 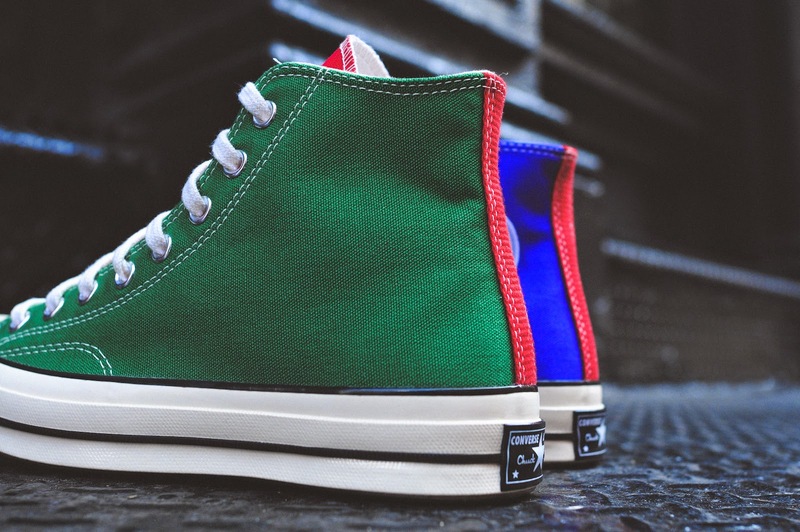 The high cut silhouette is created from a 2-ply canvas, and is comprised of a green lateral side, nightshade purple medial side, and red accents on the tongue and heel strap. 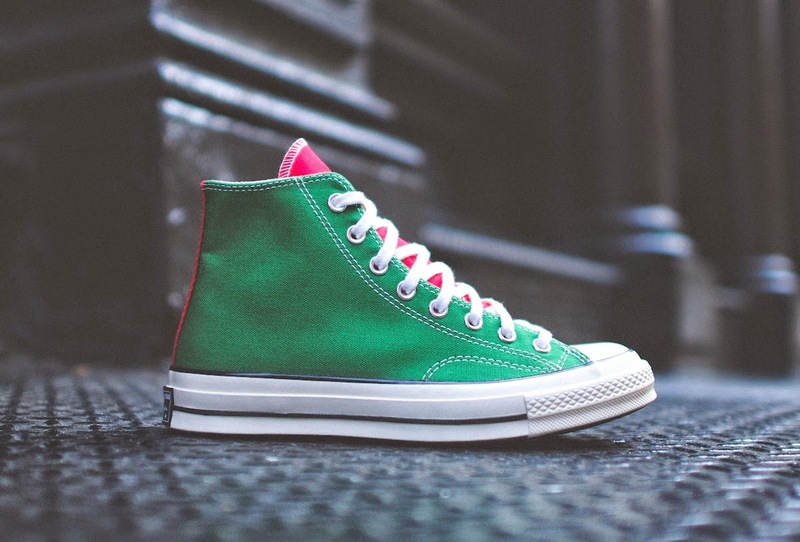 Chuck Taylor All-Star branding is located on the lateral side's ankle, while the model sits atop a vulcanized midsole. 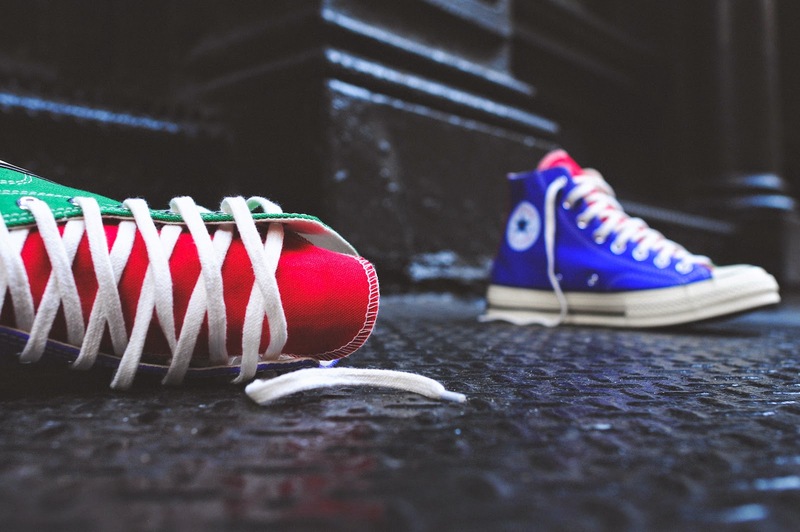 Details include nickel eyelets, Converse heel license plates, and white laces.